For over 25 years, Kingston Business School has provided ambitious business leaders with the skills to maximize their careers. In just one year, the Kingston Full-Time MBA addresses the key issues in business, shaped by a future where creativity and innovation, business ethics and corporate and social responsibility and governance play a significant role in an organization's success. The Kingston MBA of Kingston Business school is a practitioner-led and career-focused MBA program, designed according to the current state and future of the globalized business environment. The program is centered on strategy and leadership, with elective specialization options. The Kingston Full-Time MBA takes place within a high international context, living up to the standards of the business world. In a typical Kingston MBA cohort, 55% of delegates come from outside Europe and 67% from outside the United Kingdom. The diverse state of the Kingston MBA classroom enables candidates to network with peers from a wide range of academic, professional and cultural backgrounds, a build a truly international network of contacts. During the elective segment of the Kingston Full-Time MBA, candidates have the option of studying several or all elective modules in Berlin or Moscow. Held at the Berlin School of Economics and Law and the Russian Presidential Academy of National Economy, candidates participating in international exchanges will have the opportunity to broaden the networks and perspectives far beyond the classroom. All candidates and graduates of the Kingston MBA gain access to Kingston University''s exclusive alumni network of 17,000 members. In addition to networking opportunities with prominent business leaders and member, the Kingston Business School alumni network offers career support services and lifelong access to continued learning at Kingston Business School. Alumni of Kingston Business School currently work in senior management positions at prominent organisations ranging from Barclays and Random House to Tullow Oil, the Dutch Meat Board and TNT. Exemptions: Applicants without an accredited undergraduate degree will be considered on a case-by-case basis. Such individuals must have significant management experience and a minimum 600 score on the GMAT exam. Graduates will be awarded a Master of Business Administration from Kingston Business School, Kingston University. The Kingston MBA is accredited by the Association of MBAs (AMBA), the leading international accrediting body in the UK. Each year, Kingston Business School offers several partial scholarships to outstanding candidates. Further, a 10% loyalty bursary is offered to all Kingston University alumni. £3,500 scholarships for full-time international students. £3,300 scholarships for postgraduate students from India. up to £3,000 Annual Fund scholarships. The Kingston Full-Time MBA is delivered via weekday classes, with occasional weekend teaching for come elective modules. Each intake is of approximately 20 students. The Kingston MBA curriculum is made up of 10 core modules, 4 elective courses and a final MBA project. Core modules are taught according to a 'carousel' system, allowing MBA students to study various courses with students from their own cohort, as well as those from the prior and following cohorts. This results in a mixed and diverse group of candidates in each classroom environment and an extended network of peer contacts. Full-time MBA students will also undertake a week-long annual field trip in Europe. All participants are also able to join the Kingston MBA programme in Moscow for some or all of their elective modules. The program will conclude with an MBA Consulting Report. A substantial piece of work, this project will bring together the skills and knowledge which candidates have developed over the year. It can be completed individually or in a group and is supervised. 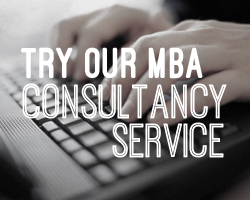 Fill out your details to find out more about Kingston MBA.